Asked about whether over-thinking about a possible incoming delivery is bringing about his downfall, Bangar explained in detail as to what he thought about the current lean patch. HYDERABAD: KL Rahul's prolonged bad patch has been a talking point for some time now but the Indian team management continues to defend him stoically, with batting coach Sanjay Bangar insisting there was nothing wrong with his methods or technique. On a placid batting track, the Karnataka opener was out for 4 off 25 balls. He looked like playing on a different pitch compared to young Prithvi Shaw at the other end. "There are various voices (at this point of time) and then you start doubting your own methods.For us, he has been a very consistent player. 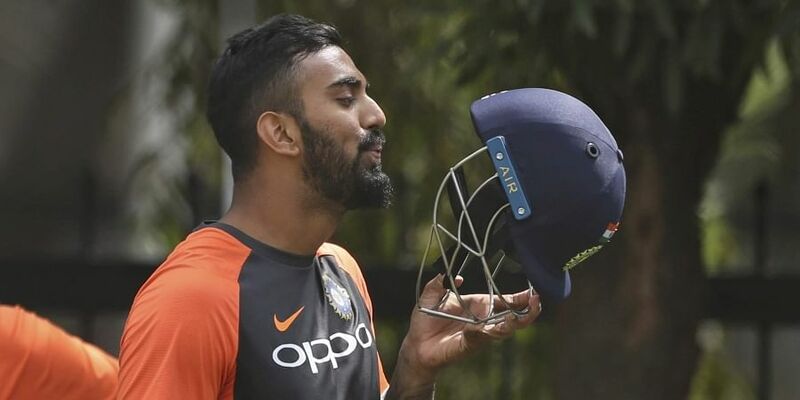 So when such a patch comes, it is very important for the team and also from my point of view, that his mind is not clouded quite a lot," Bangar said. "That can happen pretty soon a lot at this level when you start to doubt your abilities and methods. So I have to convince him that, yes your methods have been correct. Maybe he can get away from his approach or batting plan a bit," the former India all-rounder said. But Bangar refused to acknowledge that Rahul has a technical problem even though he has been either bowled or leg before on most occasions. "Don't think there is too much of a technical fault. But maybe, when gets past that initial phase, he expects the ball to be pitched on stump line. We have been speaking a lot on that," Bangar said. The coach also couldn't provide a solid explanation when asked if Rahul fails in Adelaide too (India's next Test) they may have to bring an under-prepared reserve opener (Mayank Agarwal). "Well, you need to look at where the player is and you need to keep an eye on the future. Whatever runs he (Rahul) scored for the Indian team, his contributions have come overseas and his contributions even in India has come in tougher times." "You remember the series against Australia (2017), which probably was the most hard-fought series in the domestic calendar in the last couple of years. He was very consistent (six fifties) so for a player of that quality you sort of and where he is at this moment, he has got a long career ahead of him. "Just like bowling coach Bharath Arun, Bangar also echoed that Rahul is a long-term investment. "He is somebody who is part of all other formats as well, so I think that from a team management point of view we will back players who are capable of winning matches and who are impact players for us and who can change the course of a match." Asked about today's dismissal, Bangar said that it wasn't exactly an incoming one. "It was probably a fourth stump ball he was looking to leave it. Yes, he has had issues with balls coming into him and he is really working hard." "But at times, batsmen tend to think a lot about away going balls and at times forget to concentrate about straighter balls or which generally pitch on stump line. Those are things we are working on. If gets past 15 or 20 run mark, previous game got out early, if he gets out after passing 20 or 25, then it is more serious cause of concern," he signed off.